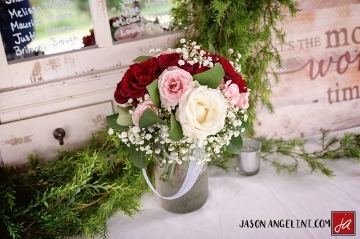 A beautiful Burgundy and Green Christmas wedding at Bakers Ranch ! Love Lock Bridge Ceremony Site This romantically symbolic ceremony site invites you commit your love to one another by crossing our European style bridge and adding your personalized lock to our Love Lock Bridge. 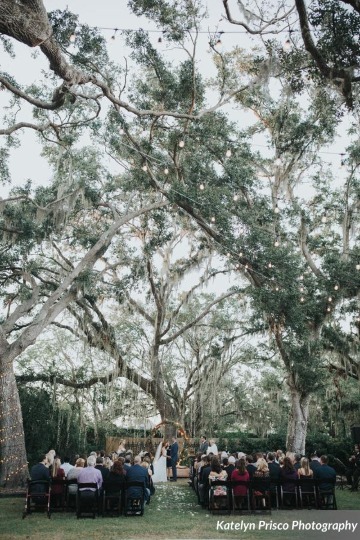 The cascading twinkle lights from our magnificent oak tree provide a dreamy backdrop to create a one-of-a-kind wedding photo. 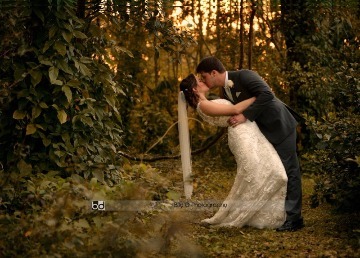 Even if you don’t chose this site for your ceremony, it is an absolute must for pictures. The Ranch House – Our Tudor Style reception space fully air conditioned offers seated capacity up to 180 guests. The exposed wood beams, romantic balcony, and elegant French crystal chandelier complimented by hundreds of twinkle lights create an enchanted escape to host your picture perfect wedding. 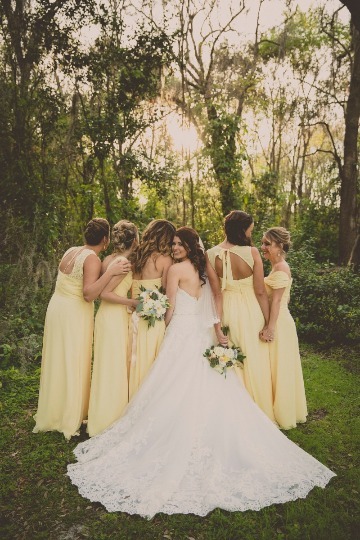 Bridal Suite at Bakers Ranch – Relax and enjoy being pampered by your make-up and hair stylists in our luxurious bridal suite and private restroom located on the first floor of the Ranch House. 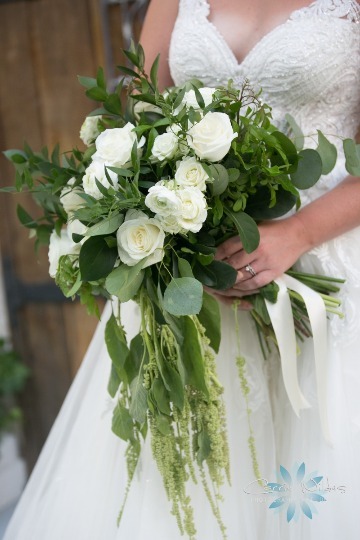 We have thought of every comfort our brides and bridal party need during the bride’s Big Day. Our air conditioned bridal suite is complete with two make-up stations, Victorian furniture, chandelier, plenty of mirrors, and even sparkling walls to provide an atmosphere of relaxation and luxury. We have amazing photo apps at Bakers Ranch​! Look at this #EnchantedForest #backdrop! 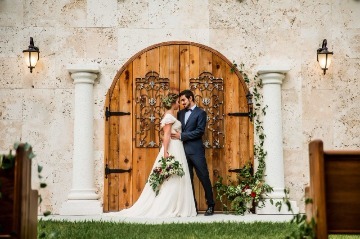 Only at #BakersRanch you can have your #TuscanStyle Wedding on a “Can't Fly to Italy” Budget! 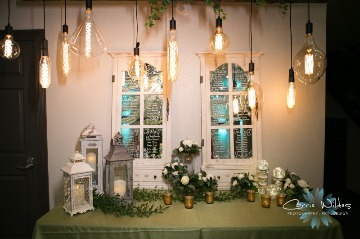 #Bakers Ranch .. Amazing #Tuscan wine themed #weddingreception! 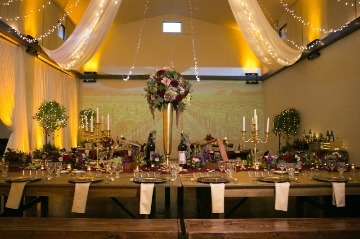 The huge farm table in the middle was the centerpiece of the room with the coolest wine themed decor. #BakersRanch ..When we say "all-inclusive venue" is just that: ALL INCLUSIVE! It means not only your #weddingreception and #ceremony are taken care of..It's your #catering, bartender, #weddingcake ,décor, fresh flowers, linens, centerpieces, tables and chairs DJ, #weddingcoordinator, setup and breakdown and everything in between are covered, too. You Will Be The Guest, We Will Take Care of The Rest! Book Your Wedding at #BakersRanch between February 11 and February 28 and get $500 gift certificate toward A La Carte items purchase/ additional custom decorations ! #BakersRanch ..When we say "all-inclusive venue" is just that: ALL INCLUSIVE! It means not only your #weddingreception and #ceremony are taken care of..It's your #catering, bartender, #weddingcake, décor, fresh flowers, linens, centerpieces, tables and chairs DJ, #weddingcoordinator, setup and breakdown and everything in between are covered, too. You Will Be The Guest, We Will Take Care of The Rest! 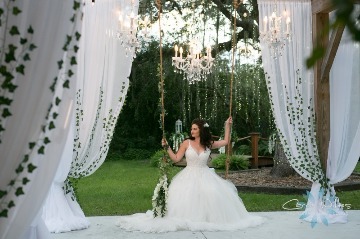 Amazing "Enchanted Garden" style wedding at Bakers Ranch - Florida's premier All Inclusive Wedding venue! We will make your dream Wedding a Reality ! Enchanted Garden Chapel Ceremony Site This is the perfect ceremony site for our couples who love European architecture. The Tudor style wood doors are complete with ornamental wrought iron and are framed by chic marble columns creating a stunning chapel façade. Your guests will be seated on our lush green lawn and our natural aisle will lead you to your whimsical, enchanted chapel. 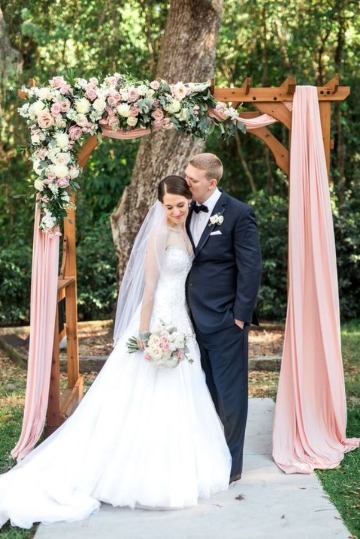 Setting wedding trends for 2018 at Bakers Ranch ! Swings are fast becoming favorite motifs of couples who want to remind themselves of the easy-breezy, good old days at the park. Ancient Oaks Canopy Ceremony Site at Bakers Ranch Imagine walking down a winding aisle to promise your everlasting love enveloped by majestic live oak trees whose beauty has lasted hundreds of years. 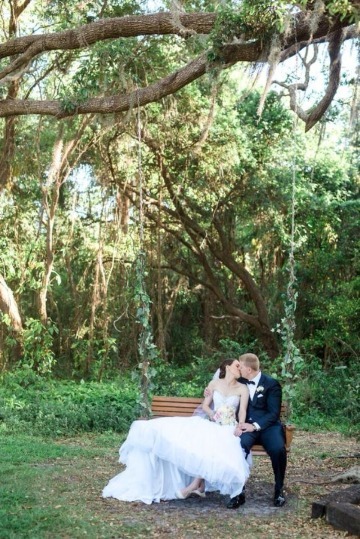 The antique wood arbor provides a perfect addition to allow our couples to customize their ceremony site décor. 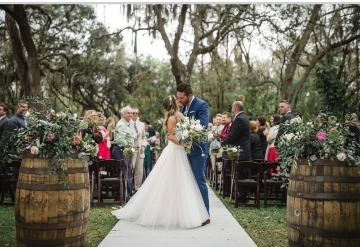 Bakers Ranch is Florida's Premier All Inclusive Wedding Venue. With its Simply Incredible All Inclusive Wedding Experience, you will be treated to your customized, elegant and worry free wedding. Our dedicated wedding coordinators will design all aspects of your wedding from the floor plan to the timeline, décor, centerpieces, catering, DJ, bartender, wedding cake, florals and more. 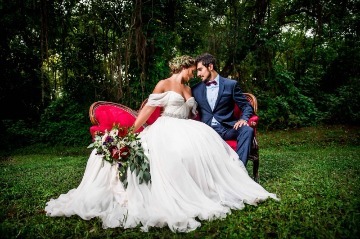 You will have the wedding you’ve always dreamed of - The most perfect, stress-free day. You’ll be the guests, we’ll take care of the rest! Are you feeling overwhelmed by all the decisions involved in planning a wedding, and can’t stand the idea of DIYing anything? Good news! 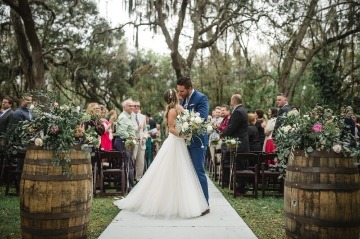 There’s an option available that may ease your stress considerably—and it’s called an all-inclusive Simply Incredible Wedding Package at Bakers Ranch. 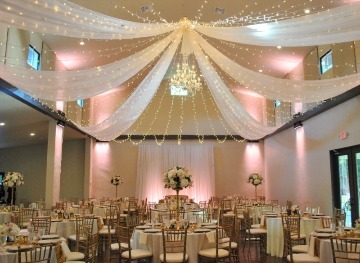 When we say "all-inclusive venue" is just that: ALL INCLUSIVE That means not only is your wedding venue and ceremony site are taken care of..It's your catering, bartender, wedding cake ,décor, fresh flowers, linens, centerpieces, tables and chairs DJ, wedding coordinator, setup and breakdown and and everything in between are covered, too. 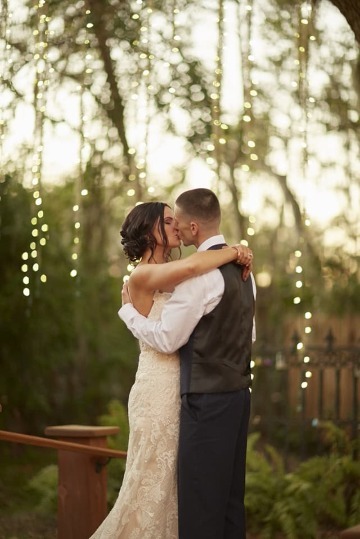 Bakers Ranch is Florida's Premier All Inclusive Wedding Venue. 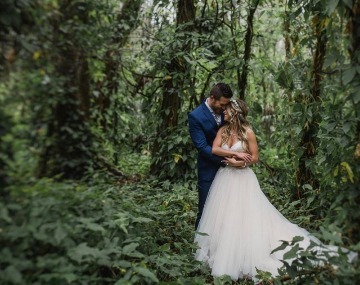 With their simply incredible all-inclusive wedding experience and being recognized nationally for their creativity and customer service, they will make your dreams become a reality.